After they asserted themselves, it seems that a new friendship was born. 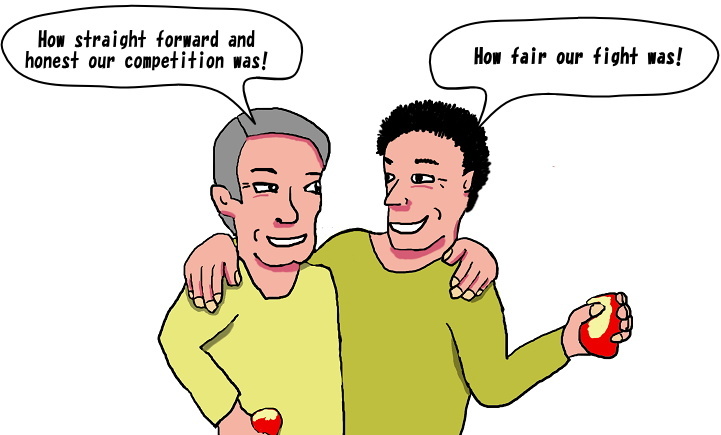 Instead of courtesy on the surface, honesty and frankness is needed for a fair competition. Both men are very satisfied.